Heather Cooper works on federal income tax matters, with a focus on energy tax issues. She represents clients in restructurings, mergers and acquisitions, and other transactional energy related matters. Heather’s national practice includes advising on all aspects of renewable energy transactions such as solar and wind projects. She provides advice on tax equity structures, refinancings, acquisitions and dispositions, restructurings and workouts. She has experience with respect to the production tax credit as it applies to wind, geothermal, biomass, hydro, waste, fuel cell and refined coal. She has also worked with the investment tax credit for renewable projects, including utility-scale solar facilities and residential solar portfolio projects. Heather has successfully advocated on behalf of her clients for regulatory provisions and Internal Revenue Service (IRS) guidance regarding these tax credits. Heather works with buyers and sellers of electric generation and gas facilities, as well as with buyers and sellers of businesses outside of the energy sector. 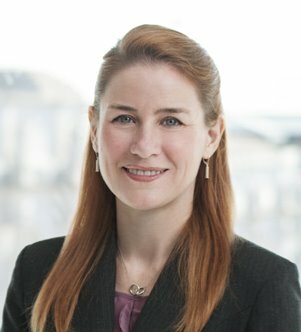 She provides advice with respect to corporate, partnership and consolidated tax issues in general and those specifically related to electric generation businesses, including the treatment of power purchase agreements, tolling agreements, interconnect agreements, fuel supply agreements and renewable energy credit agreements. Heather also has significant experience in international mergers and acquisitions. In addition, Heather assists clients with transactions related to the use of the New Markets Tax Credit and the section 1603 grant in lieu of the investment tax credit with respect to renewable projects. Heather has worked extensively with real estate investment trusts (REITs), including with respect to formation, public offerings, operations and other major transactions. She has also assisted many tax-exempt organizations with formation, operations, restructurings and other transactions.